So you have a Raspberry Pi, a MK802 series or a Cubieboard? Cool. You hacked it and had it working as a mini pc? Cooler. But wait, a computer has a screen, literally. Why not try a beatutiful 7" diagonal-1280x800IPS HDMI/VGA/AV display? Connect a HDMI cable or pluging in directly the MK802(shown in picture) can make it work quickly. A power adapter is needed for this cute monitor.It could be 5~24V(2A will be better). Whatsmore, the driver board can drive screens between 4.3" and 15", the singal will take the full screen when the resolution ratio is 1280X720. And if you still havn't got any friendly monitor for your project, just try it! 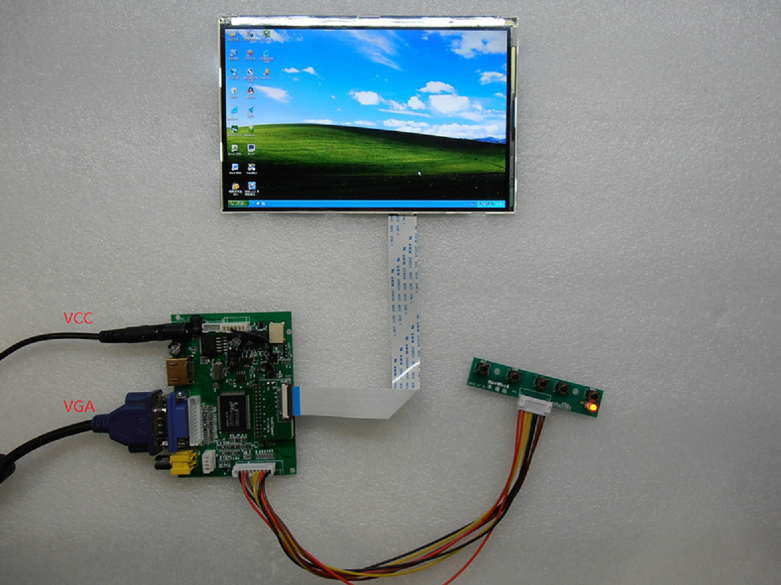 Get 7" Diagonal - 1280x800 IPS HDMI/VGA/AV Display from DFRobot Store or DFRobot Distributor.